Pate- Jones is excited to announce their participation in the Arrow Rock Lyceum Theatre New Housing Addition. We are honored that they have asked us to be such a large part of this addition. Please see below for the official press release. The Lyceum’s reputation is well regarded by a growing number of professional artists from around the country, and it is thanks to those many artists that the Lyceum’s productions continue to improve year after year. Housing a wide assortment of actors, technicians, directors, stage managers, and designers is an important aspect of the Lyceum’s operation. The Lyceum provides housing for its seasonal employees just outside of the Arrow Rock city limits. After a devastating fire in 2004, the theatre not only re-built its housing facility but doubled the number of available rooms for future growth. And now, 10 years later, the theatre needs to expand again. Producing Artistic Director Quin Gresham and Managing Director Steve Bertani have been successful growing the Lyceum’s audience over the past decade and productions have grown as well requiring more personnel. “During our musical productions we have as many as 40 employees needing housing. Unfortunately our current housing is unable to accommodate that number so, for the past several years, we have found it necessary to locate and rent additional housing for the season,“ says Gresham. “It is not only costly to rent housing for several months of the year, but it is increasingly difficult to find places available for the short period of time we need them,” says Bertani. Gresham and Bertani approached the Board of Directors a few years ago about the housing challenge the theatre faces each year. And with the leadership of the Lyceum’s Building & Grounds Committee, a plan was created to build additional housing adjacent to the current housing facility. 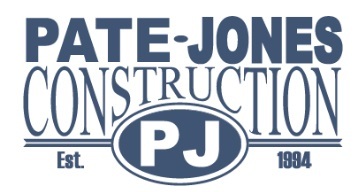 This new expansion will be built by Pate-Jones Construction in Columbia. “ Pate-Jones is honored to help the Lyceum Theatre build for the future,” said John Jones, Owner. 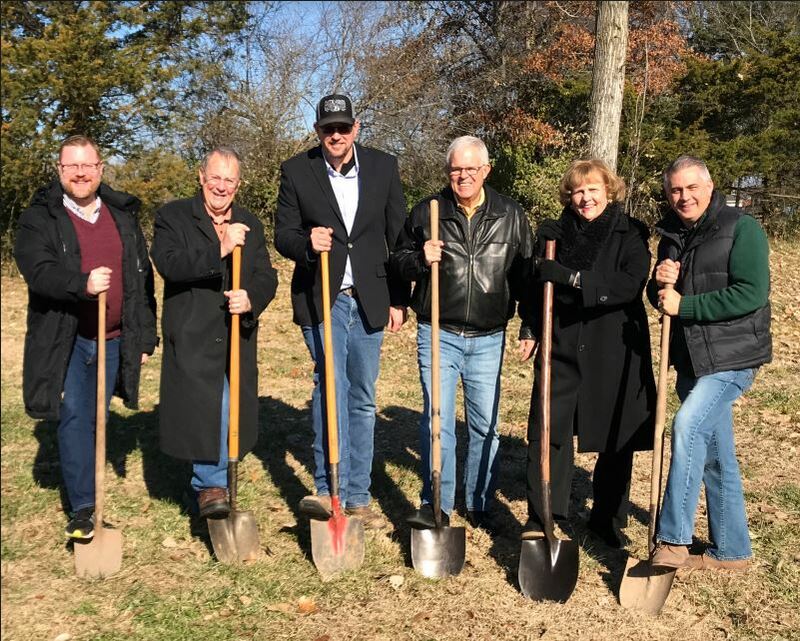 “We’re excited to get this long-anticipated project underway to allow The Lyceum to continue attracting the very best caliber performers to our Mid-Missouri theatre” says Dave Griggs, Building and Grounds Chair. “Thanks to the donors, to the Arrow Rock Community, to the Lyceum Board of Directors and staff for their work and support in making this much needed housing project a reality,” says Doug Crews, President of the Lyceum’s Board of Directors. The additional theatre housing facility will offer eight more rooms and will be open for the 2019 Lyceum season. The Lyceum Theatre will open its exciting new 8 show season on June 6 with the Lyceum premiere of Rodgers & Hammerstein’s Cinderella. What follows includes five more Lyceum premieres (All Shook Up, 9 to 5 The Musical, Murder For Two, and Fully Committed, Swingtime Canteen), along with Crimes of the Heart and the sixth annual production of the Lyceum’s unique adaptation of the Charles Dickens classic, A Christmas Carol. The Lyceum’s season runs June 6 through December 22, 2019. The Arrow Rock Lyceum Theatre is a non-profit 501(c)(3), professional theatre located in the unique village of Arrow Rock, Missouri, a 19th century National Historic Landmark. The Lyceum has been entertaining audiences in the heart of Missouri for 58 years producing a variety of musicals, dramas and comedies. Each year, this 416 seat theatre attracts professional talent from across the country to produce an eight show season (June-December). Performers, designers, directors, and technicians take residence in Arrow Rock for five months to bring its patrons Broadway caliber productions throughout the summer. The Lyceum Theatre is affiliated with Actors’ Equity Association, the Union for Professional Actors and Stage Managers in the United States, and the Society of Stage Directors and Choreographers.